The term "SIMPLE IRA" serves as an acronym for Savings Incentive Match Plan for Employees Individual Retirement Account (IRA). This type of IRA makes sense for small businesses in part because of its more affordable maintenance costs than other retirement plans. The Simple IRA works well as a start-up retirement plan for small employers who do not currently sponsor retirement benefits like a 401(k) plan or a 403(b) plan. In a Simple IRA plan, the employer establishes an individual Traditional IRA account for each of his or her employees. Both the employer and employees can then contribute to these accounts, earning tax benefits both at the time of the contribution and later, by deferring income taxes on the profits earned on the assets in the account. The employees receive 100 percent vesting immediately on the employer contributions made to their Simple IRA accounts, meaning that if they leave their job, they can take all of the funds with them. The administrative costs to establish and maintain a Simple IRA plan are very low relative to other alternatives. A Simple IRA program has an easy setup process, usually requiring only a phone call to a financial institution to get the program started. Employees covered by a Simple IRA can contribute to their individual Simple IRA account through regular payroll deductions. They will receive a tax deduction and the investments in the account can grow tax-deferred until withdrawn at retirement. The employer can choose to either match the employee contributions to their individual Simple IRA accounts, or the company can contribute a fixed percentage of all eligible employees’ pay to each account. Specifically, the employer can either match their employees’ contribution dollar-for-dollar up to 3 percent of pay, or they can choose to contribute a regular, non-elective 2 percent for each eligible employee. If the employer chooses the latter, that means that even employees that don’t save anything from their own paycheck must receive the 2 percent deposit into their Simple IRA. The employer who sponsors a Simple IRA plan generally has no filing requirements with the IRS. The financial institution that handles the investments for the Simple IRA typically handles most of the work. A Simple IRA has one drawback, in that the account holders cannot take loans against their assets like they can with a 401(k) plan. For business owners who want to save more for retirement, you may find that the Simple IRA contribution limits are more generous than the other retirement account options. That’s because both the company and the individual can contribute, meaning that even self-employed people get to benefit because they can effectively match their own contribution, giving them the ability to contribute almost double the amount of a Traditional IRA retirement account. Company employees can contribute $12,500 in 2018. Employees aged 50 years or older can make additional catch-up contributions of $3,000 for a total of $15,500 if permitted by the plan. Additionally, if an employee participates in any other plan during the year and has elective salary reductions under those plans, the employee can contribute a maximum of $18,000 across all plans. Employers can contribute either a dollar-for-dollar match up to 3 percent of the employee's pay or a 2-percent non-elective contribution into the account of each of their employees. Employees can make Simple IRA withdrawals before retirement age, but not without serious repercussions. The IRS considers Simple IRA withdrawals as income to the account holder, so the money will be subject to regular income taxes. 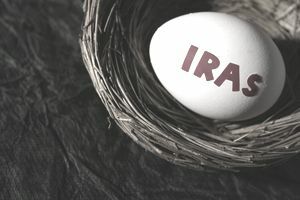 The IRS assesses a 10 percent penalty for early withdrawal on all Simple IRA account withdrawals before the age of 59.5 years old, and even worse, if the employee makes those withdrawals within the first two years of participation in the Simple IRA plan, the IRS increases the 10 percent penalty tax to a whopping 25 percent.